I think I’ve finally decided to grow my hair out – a task that will require infinite amounts of patience on my part. Like, a year or two. Or three. We’ll see what happens. I’ve had short hair before and I’ve tried to grow it out many, many times before and I usually always cave in somewhere around that awkward will-you-just-reach-my-shoulders-already-stage. I’m hoping I can stick it out this time. I’m finding myself drawn to long and luscious hair – which I haven’t had for about fifteen years (oh fine, I’m lying, it was never luscious). These are a few of my inspirations for the time being – the photos (or, well, bloggers, mostly!) I stare stubbornly at when the urge to cut or the fact that I may very soon sport a mullet is getting to me. Alexa Chung in L’Officiel magazine, August 2010. (See more here). I like the color, the texture… Of her hair, I mean. And the photo. It’s a gorgeous editorial. I also quite enjoy the fact that she’s wearing a hat and yet does not look bald, as is the case with me and my pitiable short hair these days. 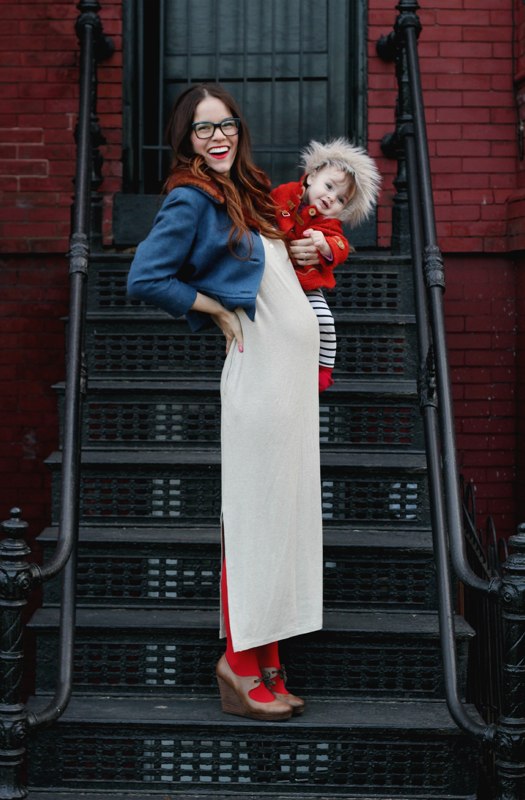 Last but not least, the woman behind one of my favorite blogs, Naomi Davis of Rockstar Diaries, has gorgeous hair. And the nicest smile. And coolest glasses and best wardrobe and the cutest daughter in the world. If I ever achieve hair like this I will consider myself a success in life and never moan about anything ever again. Promise. Also, is it possible to have family crushes? Because I think I have one on the Davis family. So, apparently I have changed my mind regarding that whole going back to red hair-thing. Brunette. That’s where it’s at. For now. Now, just hurry up ,time. Pass! Pass! I’m growing out my hair these days. Yes, thank you for your condolences. It’s hard. 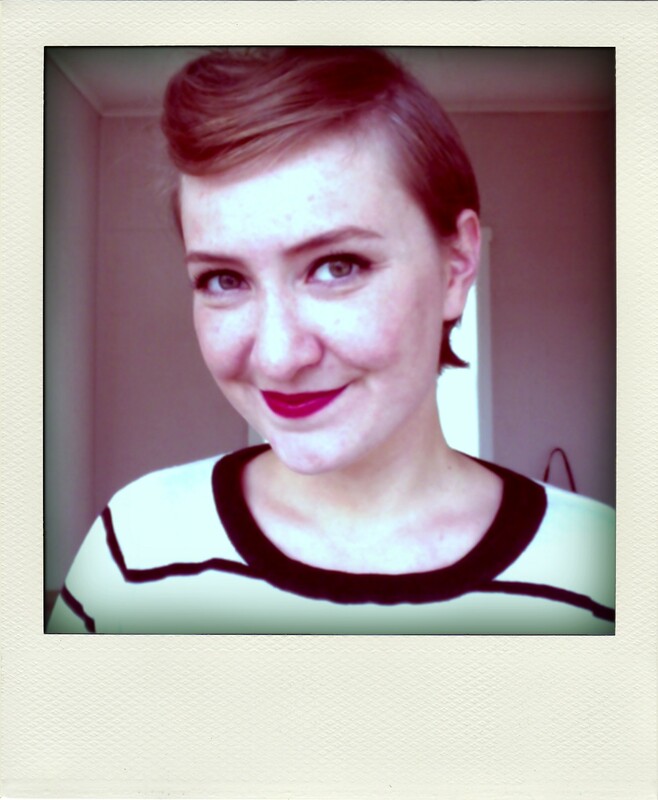 I had it cut really short, Mia Farrow-short, a year and a half ago and loved the haircut for over a year. Then I tired of it. Surprise! I change my hair a lot; I’ve had long hair, a bob, a kind-of-short haircut and the aforementioned Mia-cut in the last three years or so. Since I discovered hairdye in my teens I’ve also changed my color quite frequently. Highlights, lowlights, brown, chestnut, almost black, red and, on one occasion, really ridiculously, Ronald McDonald-y gaudy orange. By mistake, yes. Right now is the first time in maybe 15 years that I have my natural hair color. My particular brand of brown is usually just referred to as mousy. And mousy it is. It feels very Icelandic. It immediately brings to mind that I live in a country which hardly sees the light of day for months at a time and where the skies can be grey for weeks on end. Like all the color has been sucked out of the world. That’s my hair. (Yes, I’m feeling a bit dramatic today). I’ve been wanting to color it for a year or so, but have held off. It is quite liberating, not having to worry about roots, and my frugal soul hates how expensive it is to get my hair colored at a salon. The main reason I’ve been holding off though is my impending trip to India (in 36 days and counting). I’ve learned the hard way that hairdye and strong sunshine don’t really mix all that well. The yellowish grey that ensues doesn’t do much for me. But I’m itching and aching to color my hair red again. Ohhh, red. I think it’s some sort of cruel genetic joke that I’m not naturally a redhead. Seriously. I have the greenish eyes, the light skin and the freckles. Where the hell is the red hair? I’ve been cheated. So, I think I’ll be having a hot date with a bottle of hairdye as soon as I return from India in March.